I had a work event in Orlando, Florida last week and I was able to spend a little time walking through the Disney Springs area. It's basically an outdoor shopping mall, with many of the stores owned by Disney. 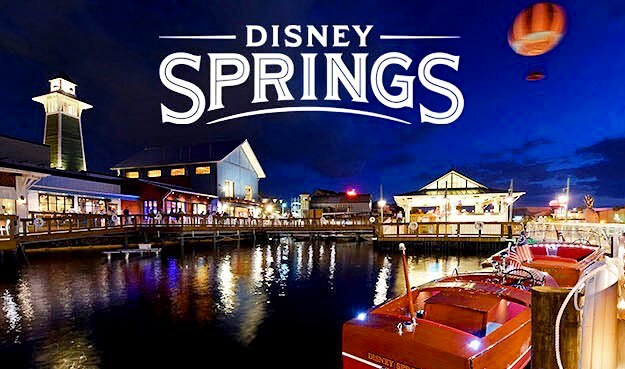 If it's been a while since you've been through that area, it's also gone by the names Lake Buena Vista Shopping Village, Walt Disney World Village, Disney Village Marketplace, and Downtown Disney. In some of the shops -- most notably the Star Wars Galactic Outpost and the Super Hero Headquarters -- they had some sections set aside for comic books. Not tons of them, certainly, but enough to show that they gave some consideration to the medium. And while perhaps not terribly surprising for the Super Hero Headquarters, it was a little unexpected to see a section of the Star Wars store with them. While Marvel is the publisher of Star Wars comics now, and both are owned by Disney, comics aren't really the primary medium people know Star Wars from. What was more surprising was that they had more space devoted to pamphlet comics than trade paperbacks or hardcover collections. The stores had unique (at least as far as I know) plexiglass displays that presented each issue in an upright fashion, showing the entire cover, with a stack of the same issue piled flat behind. A person could then slide out one of the flat issues underneath the front-facing one (the display case setup made this easy). While a few collected editions were available, they were in the distinct minority, regardless of what title you might be interested in. There was perhaps one collection title for every four or five pamphlet titles. Given how much the comics industry as a whole has placed so much more emphasis on the trade collections, to the point where the content of the comics themselves is designed more for that format, it strikes me as curious that Disney would instead choose to focus on pamphlets. The lower price point might be a consideration... but these are things sold on Disney property. Don't people have an expectation that nothing there is going to be cheap by any measure? But further, aren't the pamphlet comics a lower return on investment? The greater profit margin is on the collections. Particularly as it relates to store space -- not only are collections more profitable on a dollar-for-dollar basis, but they're also more profitable relative to the amount of shelf space they take up. Disney is renown for using impeccable business acumen. So I have to believe there's a carefully considered logic behind the decision, and it was almost certainly not made on a whim. I'm just curious, given what we know about the comics industry in general, what they know, or at least believe, about comic sales within the Disney premises.